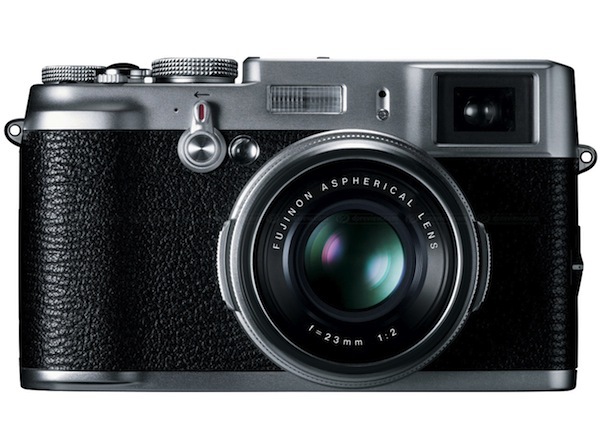 The Fuji Finepix X100 camera is one of the hottest cameras on the market today. It is completely unavailable at any online camera store and there’s are good reasons why: not only does it sport an incredibly attractive retro look and feel, it takes spectacular images with its fixed-focal length lens (23mm). Recent events in Japan have also significantly affected Fuji’s production rate, making this camera extremely difficult to come by. After repeated and failed attempts to purchase this camera at places like Amazon, Adorama, and B&H, I decided to try calling some local places. I was extremely fortunate to find a unit at the Hunt’s Photo down in Kenmore Square. It was the last one they had, and they had gotten it into the store only a couple of days before. In its entire lifetime, this Hunt’s Photo shop had only sold six Fuji X100s. I was number seven. You can’t tell from this crappy iPhone video, but the box and packaging is super sleek and classy. The X100 is strictly for intermediate or advanced users and even professional photographers have had problems getting a handle on how to use it. This thing is very quirky and there are a couple of nearly deal-breaking annoyances that I’ve had to contend with. First of all, the Fuji X100 takes amazing portraits, but due to the wide angle lens, you need to get really close to your subject. This necessitates switching into macro focusing mode on the camera to get the subject in focus, which involves going into the menu and making a specific selection. This is extremely cumbersome and I missed a lot of great portraits this way (the focusing also performs quite poorly in low light). There are a bunch of other things here and there that are annoying and just plain weird (example: the ridiculously overpriced lens adapter/filter/hood isn’t even available for purchase, due to constrained supply), but once you can overcome those, the images you can get are pretty incredible. Moreover, the hybrid optical/electronic viewfinder is one of the coolest things I’ve ever seen and looks like it came straight out of a Mission: Impossible film. It needs to be seen to be believed. A few other things deserve mentioning. The low-light performance on this camera is simply phenomenal. 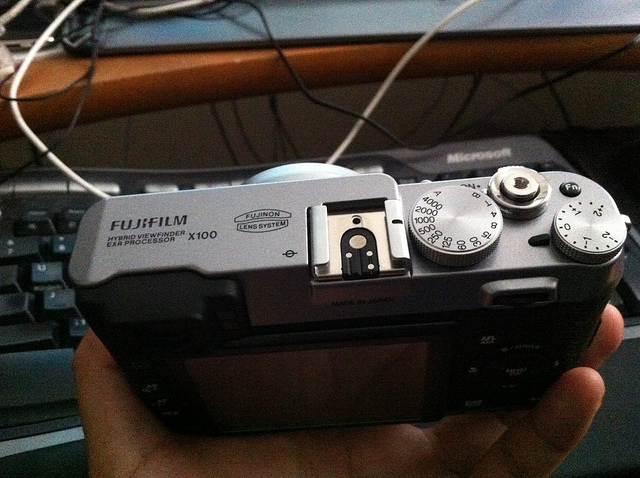 This thing does better in dark situations than my much heavier, much more expensive Canon 7D. I can easily take images at up to ISO 3200 that are usable and that fact absolutely dumbfounding to me. Here’s an image I took at ISO 2000. In my opinion, the grain is barely noticeable! For strobist purposes, the camera can also sync at much higher speeds than 1/250th of a second (the maximum sync speed on most DSLRs these days). This means I can experiment with flash using wider apertures in broad daylight, something I’ve always wanted to do but never had the chance to. I’m really looking forward to the images I’ll be able to create with off-camera flash.